TokenMarket has revealed it will be launching a new Security Token Offering (STO) service. 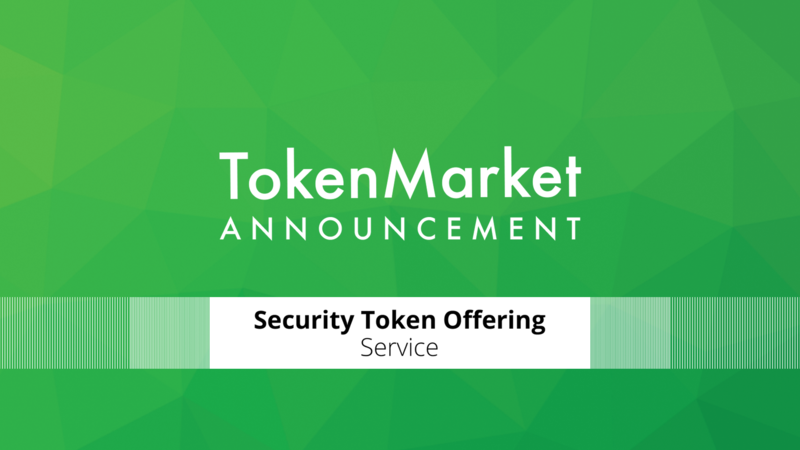 London, United Kingdom - Sept 17, 2018 - TokenMarket, Gibraltar and London based token sale advisory firm, is pleased to announce the launch of its new Security Token Offering (STO) service. The STO Service will assist issuers and investment banks with all the technical aspects of the token issuance, including in-house developed, world-class security token framework. As of today, TokenMarket is already building a pipeline of STO issuances. While the financial regulations are adjusting to blockchain technology, the first investment types are likely to be private placements and crowdfunding of SME growth companies, real estate and investment funds. “Our token sale smart contracts have been battle tested in dozens of offerings including ones from third party vendors. Likewise, our STO toolchain will be available under the Apache 2 Open Source License. We are excited for what the future of our STO service holds.” Says Mikko Ohtamaa, CTO of TokenMarket. TokenMarket’s regulatory efforts are moving forward as the company was accepted in the FCA Regulatory Sandbox in July of this year. In addition, TokenMarket has been given a trial period to test and measure the implementation and the practice of tokenising equity in the UK. TokenMarket has also received “In Principle” Distributed Ledger Technology (DLT) approval from the Gibraltar Financial Services Commission (GFSC). TokenMarket is a strategic and technology advisory firm with offices in London, Gibraltar and Helsinki. The company, known for its extensive sector expertise, has advised over 30 token sales including Storj, Populous, Monaco, Civic and Dent, raising over $350 million in total. TokenMarket’s award winning platform provides end-to-end token issuance including fund collection, compliance and marketing.